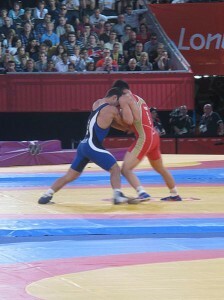 Wrestling has been a staple of the Olympic Games since their re-establishment in Athens in 1896. Greco-Roman wrestling, as well as freestyle, combined for a total of 18 medal events in the 2012 Summer Olympics in London. The 2020 Games in Rio de Janeiro will have zero. The International Olympic Committee (IOC) executive board voted by anonymous ballot to remove wrestling from the 25 core events of the Olympic Games in order to open up a slot for a new sport to be added. Sounds like a load. So what event was so important, so earth-shatteringly necessary to add to the ultimate international sporting competition, that it dictated the removal of the Olympics’ oldest event? Golf. Seriously? Someone owes the world of sports a serious explanation. Apparently golf makes the grade as more of a sport than wrestling, and there is an actual grade. Essentially this means that the voting mechanism for determining what is and is not enough of a sport to be in the Olympics is a popularity contest within a group of 15 people. On top of that, there is the additional factor of who is willing to pay each of those people enough money to make one sport officially more “popular” than another. If this were a political issue, Fox News would have CORRUPTION as its blaring headline. Then they would find a way to make it President Obama’s fault, but that is a separate issue entirely. So what is the fate of wrestling going forward? Even though it has been dropped from the 25 core games, wrestling is still able to lobby for a single available slot in the 2020 Games. The events in contention for this spot also include karate, wushu, squash, wakeboarding, roller sports, climbing and a combined baseball and softball bid. There will be a meeting of the IOC executive board in St. Petersburg, Russia in May which will determine the sports that will earn a proposal to be included in the 2020 Games, and a subsequent general assembly of the IOC will take place in Buenos Aires, Argentina in September to render a final vote.